Right from your home to your meal- one thing that is a part of everything is “Mira Steel”. With experience of 4 generations, we strive to be best in our industry. We care about our customers. We do our absolute best to honor our commitments. We strive to act with integrity and fairness. We take immense pleasure in introducing ourselves as one of the leading manufacturers of S.S drums, vessels, catering & hotel products. Our focal point is innovation of stainless steel. We follow a unique business strategy & aim to achieve customer needs through a complete understanding of demands in the market. We follow age old principle of “consumer is king”. We believe in Kaizen – a principle of continuous improvement & change regularly, only for better. We provide a spectrum of products catering to a wide industry, and this is possible only through the knowledge and expertise of a sound assurance system. We are unique, but we at 'Mira Steels' make sure that communication is open & creativity is personified. We promise to keep delivering the best products of steel. As we, at Mira, are driven by “the hard work zeal”, serving since 80 years. Situated in close proximity with the city, our infrastructure sprawls over a vast area. 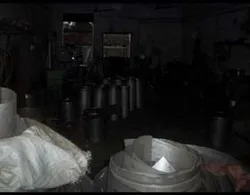 For the streamlined processing, we have segregated our infrastructure into several departments like manufacturing, quality control and warehousing. All the departments are equipped with advanced machinery and equipment. 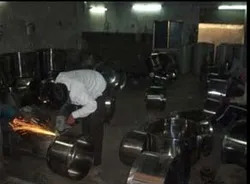 This helps in manufacturing high quality range of Stainless Steel Items and Kitchen Equipment. 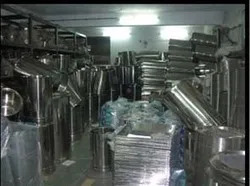 For storing the manufactured products, we have established a huge warehousing unit.